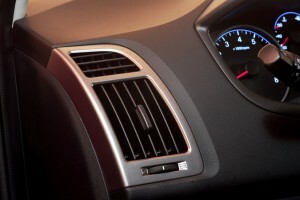 The subject of car air conditioning systems is largely misunderstood by a majority of the vehicle owning population. This knowledge gap continues to cause thousands of Canadian drivers to alter their vehicle use habits for air conditioning management strategies that are ineffective. And so in this blog, we’ll provide an insight into commonly believed air conditioning myths, as we separate the fact from the fiction and provide some clarity on this complex subject. Many of our clients continue to believe that the air conditioner within their modern vehicle is the same as those used in models built several years ago. The difficulty with this line of thinking is that drivers come to believe they can use the same refrigerants within new systems, and believe that new systems are simpler to repair than they actually are. Modern vehicle air conditioning technology has evolved to operate with R134a refrigerant and to meet a range of environmental requirements within the industry. New sensor technology has been installed in modern vehicles to signal to drivers any changes within their in-vehicle environment. These updates mean that systems require additional testing and comprehensive maintenance. This is another common, widely held myth that can be dangerous for drivers. Today’s air conditioning systems, and any system built in the last 10 years, are designed to last for many years on one fill of refrigerant. Should drivers find that their air conditioning fluid is low; this can indicate a leak within the system. Any leaks should be reviewed immediately by a qualified mechanic, as they could cause fluid to enter into other parts of the vehicle, causing extensive damage. While it might be true that at low speeds, pulling windows down instead of using the A/C can improve fuel efficiency, at highway speeds drivers may find they end up using more fuel by keeping their windows down. This is because the drag on the vehicle increases the faster it’s moving. The resistance against the vehicle at highway speeds means that using air conditioning can actually enhance fuel efficiency. Understanding of air conditioning technology can help modern drivers improve their return on vehicle investment and enhance their overall vehicle performance. If you have any questions regarding your air conditioning and its operation, speak with one of our in-house parts experts today. We’d be happy to answer any questions!